Earlier this year we brought you news on Small Town Monsters latest film (HERE), and now we have more news including the trailer. In 1989 a country road outside of the Wisconsin town of Elkhorn became the center of a media frenzy unlike anything the world had ever seen. said Linda Godfrey the newspaper reporter who brought the story to light in a local publication called “The Week”. In fact, many people -locals and out-of-towners alike- had sightings and encounters with the creature that came to be known as The Beast of Bray Road. 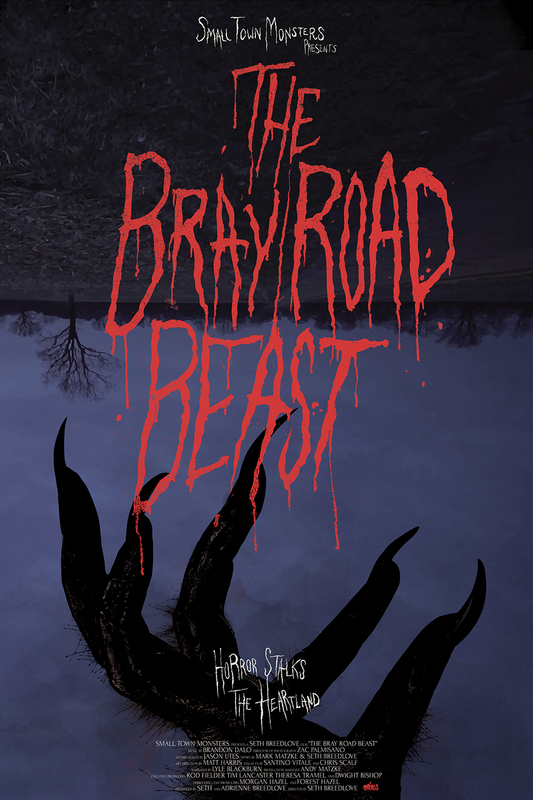 Many of these sightings were largely ignored or under-reported… that is, until 5th October when the new documentary film,THE BRAY ROAD BEAST will unlock decades of history relating to “werewolf” sightings around the US. The film captures the sighting stories of real eyewitnesses, investigators, and historians to tell the centuries-worth of history surrounding one of the world’s oldest myths… and it’s possible roots in reality. Today, the second trailer for the film has been unveiled. Delving quickly into the frightening nature of the early sightings, while hinting at their possible supernatural origins, the trailer looks to introduce audiences to what will likely be their first brush with Canid cryptids. THE BRAY ROAD BEAST had a special sneak-preview screening at HorrorHound Indianapolis on Saturday, 25th August far ahead of it’s official release on 5th October. You can pre-order THE BRAY ROAD BEAST, DVD which includes a 17 minute "behind the scenes" of the making of the documentary.